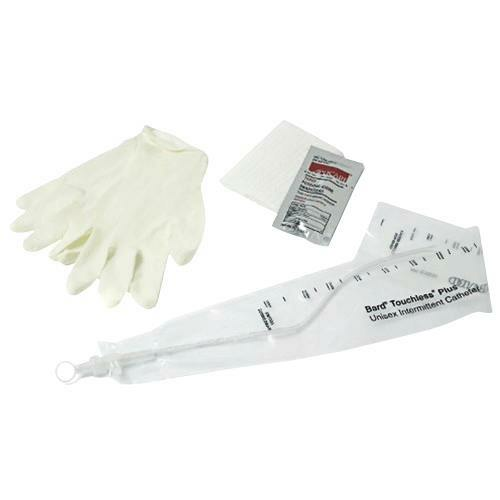 Bard Touchless Plus Unisex Intermittent Catheter Kit is a closed system kit that is designed for sterile intermittent catheterization and offers a pre-lubricated catheter to reduce discomfort during insertion. Its closed system reduces the risk of urinary tract infections and cross-contamination. It provides patient and caregiver an increased level of control and convenience. The PVP Swabs showed is not included in the product. Catheter cap has pull ring for easy removal.